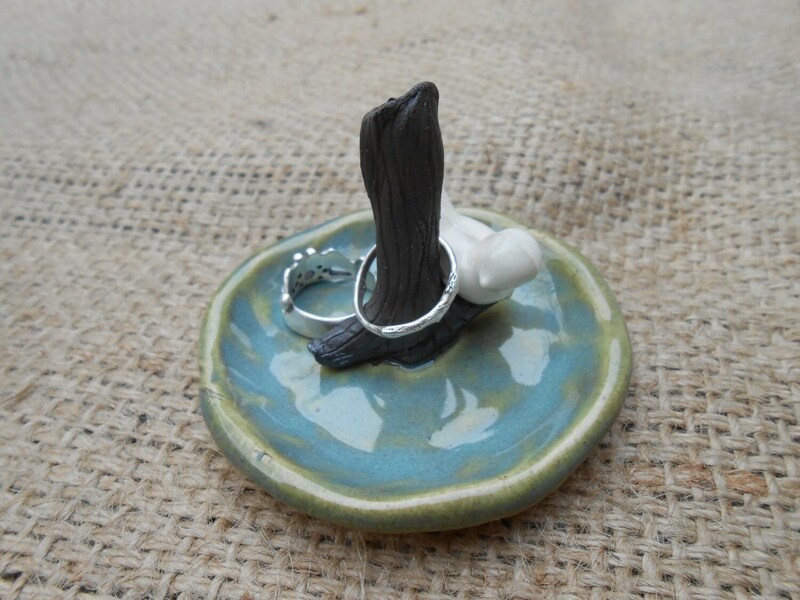 This listing is for one of the two ring dishes shown above. 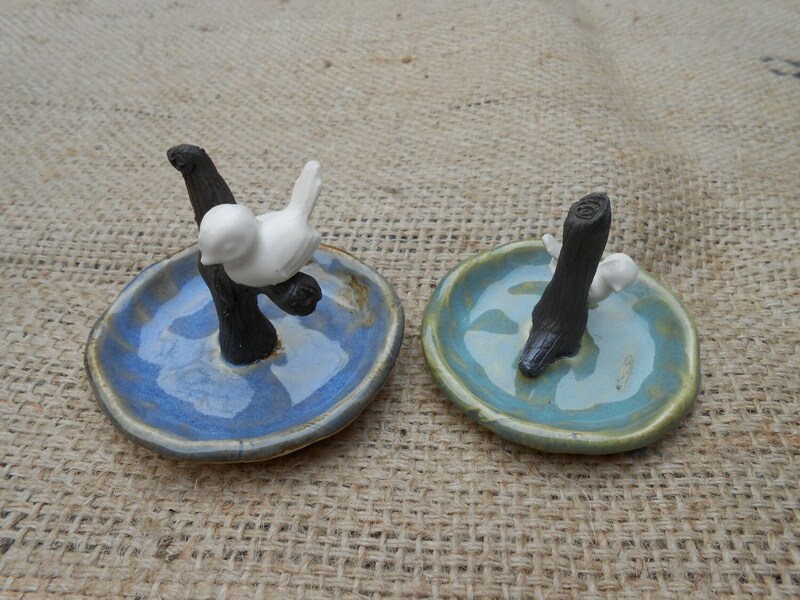 They are handbuilt, with an attached bird from a vintage mold. 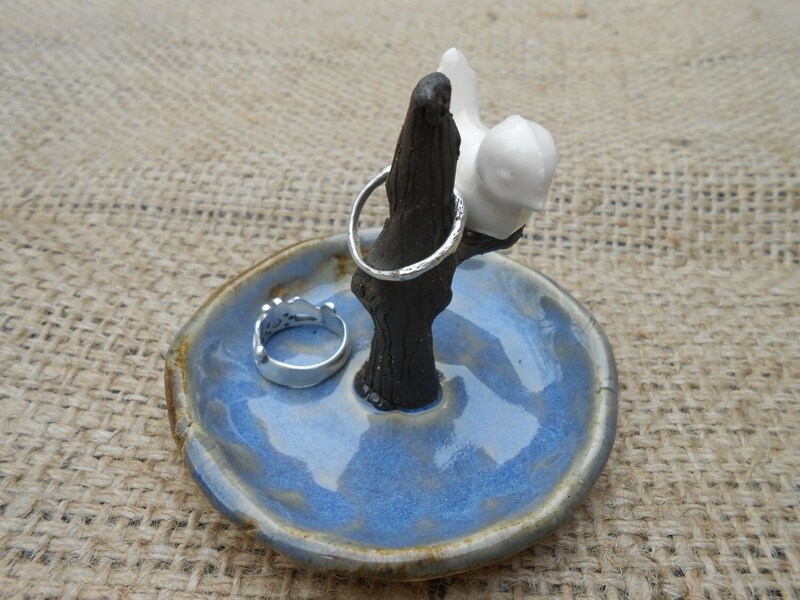 High fired using 3 different clays, the protruding branch holds a handful of your favorite rings. 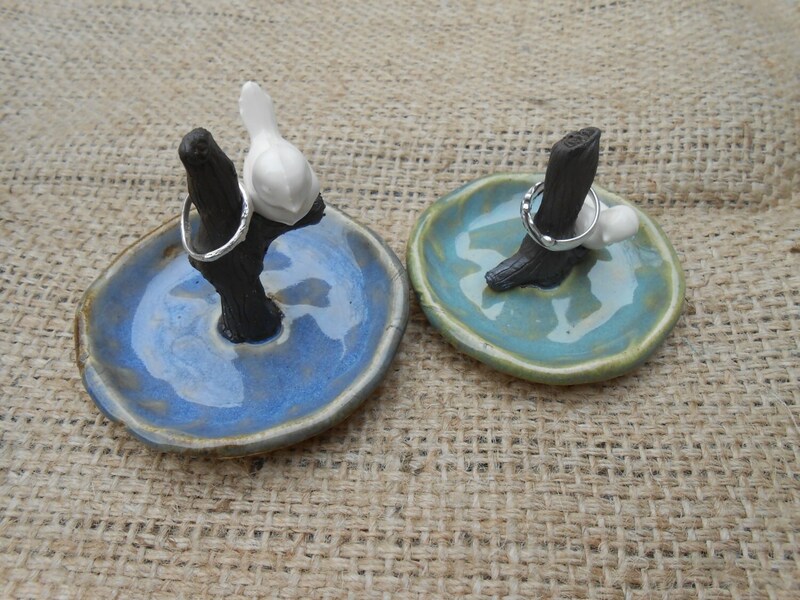 You may specify which dish you like, or I can just send you one of the two- they are between 3"- 3 1/4" by 2 1/4"- 3"
Besides its intended purpose--ring holder--it sits on my kitchen counter and holds my day's vitamins. Lovely reminder, and just the right size.